I read this article and found it very interesting, thought it might be something for you. The article is called Speeding Truck Crushes College Girl to death in Kolkatta and is located at http://www.panasiabiz.com/9445/speeding-truck-crushes-college-girl-to-death-in-kolkatta/. Kolkata: A second-year college student lost her life on Monday after being smashed under the wheels of a mini-truck. The commerce student from Shri Shikshayatan College was riding pillion on a two-wheeler. The incident took place at Basanti Highway near Science City. The mini-truck hit the scooter at a sharp bend near the Chowbhaga crossing. Although a traffic constable is always on duty at the crossing which is even frequently visited by traffic sergeants, the errant truck driver managed to escape along with the killer vehicle. The victim, twenty-year-old Pallavi Sharma was riding at the back of a Honda Activa when the mishap occurred. The impact threw her off from the scooter to the right side. Wheels of the truck went over her head crushing her skull. While the bike and its riders lay helpless on the road, the driver of the truck swiftly escaped from the spot without even giving onlookers a chance to jot down the registration number of the mini-truck. Even though Pallavi was wearing a proper helmet, the immense weight of the truck shattered it. Her co-rider Mayur Jain got past with minor injuries since he fell on the left side of the road. Mayur is a second-year college student of Umesh Chandra College. The scooter is more or less intact with just some scratches and a cracked tail lamp.The Police took the victims to the Calcutta National Medical College, about 9 km away from the accident spot, where Pallavi was declared dead on arrival. According to information from the police, the duo was going in the direction of Bantala from Science City when they met with the accident. The Traffic Police department has assured that they are scanning CCTV imagery at the Chowbaga crossing before and after the incident to find the accused vehicle. The survivor of the accident has been traumatized by the incident and cannot tell anything about the errant truck at the moment. Investigating officers have decided to question him after a few days. Mayur was released from the hospital in late evening. The place where the accident took place is vulnerable to accidents due to poor maintenance and traffic management. 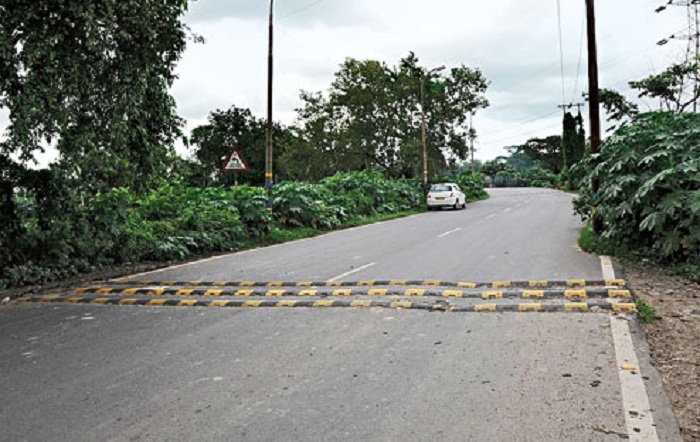 This stretch of Basanti Highway between Science City and Bantala Leather complex falls under the Kolkata Police while the rest is controlled by the West Bengal Police.